Posted on March 20th, 2018 by ProtonVPN Admin in Articles & News. Earlier this year we started working on a tool to simplify Linux VPN usage in a command-line environment. 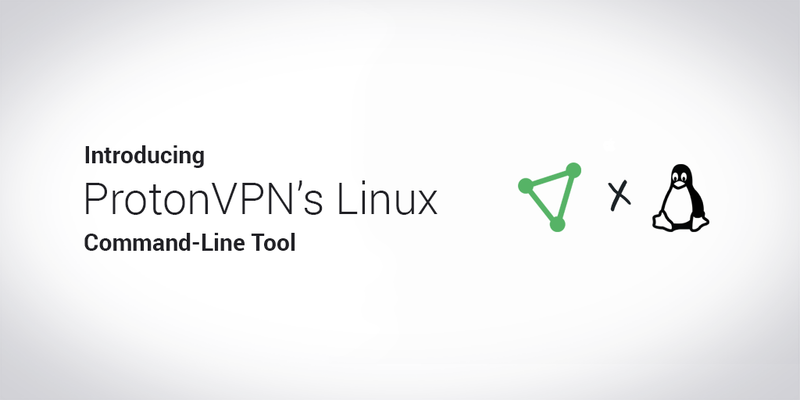 And now we’re very excited to make the ProtonVPN Linux command-line tool available to all Linux VPN users. At ProtonVPN we’re big fans of Linux operating system, and most of our team uses Linux- or Unix-based systems on a daily basis. If you’re a regular Linux user, one of the things you have probably noticed is that VPN server management is not exactly convenient or user friendly. 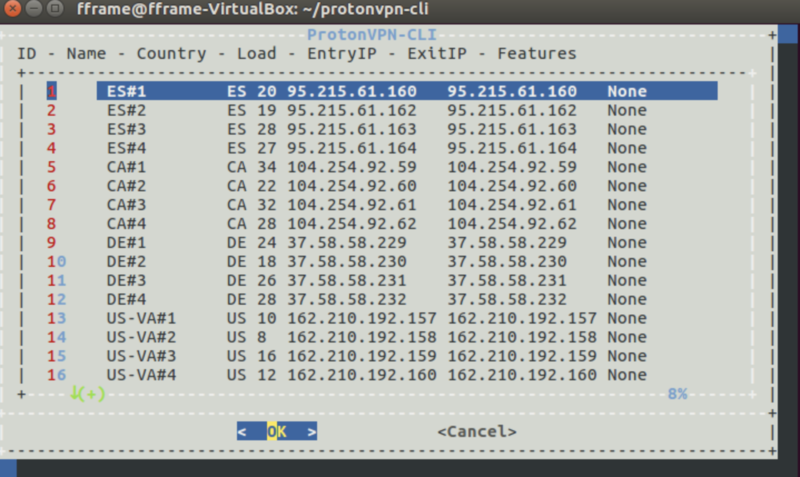 This is the issue we’ve faced while using ProtonVPN on Linux. The ProtonVPN Linux command-line tool is used to help you quickly connect to our VPN servers, allowing you to see a full server list and manage your connections. Our VPN command-line tool for Linux offers several benefits, such as quicker setup, easier VPN server connect/disconnect, easy-to-read server listing, and easier switching among servers. If you would like to try this new feature for Linux, visit our Support page for a step-by-step guide for installing it on Ubuntu 16.04 LTS: https://protonvpn.com/support/linux-vpn-tool/. The command-line tool works on other Linux distributions, as well as macOS. Your feedback is important! As always, you can report bugs or send us your suggestions or comments through our support form here, or directly on Github. We look forward to working with the community we serve to build the best Linux command-line tool available. If you have improvements or bugfixes and you are a developer, feel free to make pull requests to the repo and we will review and merge them. ProtonVPN entirely depends on users upgrading to paid accounts to cover operating expenses. Without your support, projects such as ProtonMail and ProtonVPN would not be able to thrive. If you appreciate the security and privacy that ProtonVPN provides, please consider upgrading to a paid account. You can get a free VPN account from ProtonVPN and a free secure email account from ProtonMail to secure your privacy. However, there are paid plans available if you would like to add on more features to both services. I have BEGGED from day 1 and you came through. Setting the firewall to block everything but the VPN. Will probably research and hopefully try it tomorrow…well, today, now. If it works….. Thank you Protonmail for all the brilliant work you’ve put in to create these superb products. i’ve been using you since the original days when mail accounts for given on a first come first served basis and you had to wait to be accepted. At the time it seemed unusual (although I understand why) but now a few years on, i’m so happy that I stuck with you as you have grown from strength to strength. Having used Protonmail for quite a few years I finally was able to upgrade to a paid account. I added too a VPN package. So would just like to take this opportunity to thank the teams – mail & VPN – for doing such a sterling job and providing such a wicked service. Trend setters in the field of security, privacy, and customer focused services and transparent to boot. Particularly after what we learned from Snowdens revelations. So hats off to you guys. I must say, too, I always felt a sense of guilt not being able to contribute funds to the project. Especially since you offer free services to those who need them. And you don’t use our data for profit or ill intent. With other ‘free’ services we now know the product was/is us. Thanx! A final question: with growth will Tor servers become available on the basic VPN accounts? Thank you very much for the feedback, we really appreciate it! Expanding features/servers availability for free/basic plans is definitely something that we are considering. I am so confused. Linux does not equal command line. CUI can only be used by who knows to use CUI. But GUI can be used by everyone, therefore larger reach. Why spending time on CUI instead of GUI? Is this temporary place holder for an app or there won’t be an app? The plan currently is to have a client application that works on as many Linux distributions as possible. GUI is actually on our roadmap, however, our primary goal is to provide our users with a tool that works on basically everything. By comparison, far more Linux users are running command-line environments rather than desktop/GUI environments. You need to think about all the Linux servers, routers, htpcs, etc. that don’t need a desktop environment, and where GUI tools are useless. For most tools I think a GUI frontend for a command-line tool is best, certainly for things like VPN clients, that way everyone is covered. This is the best thing since sliced bread! I rarely use GUI-based linux distros and love the ease of use of this tool. installed and connected in less than 5 min. Keep up the great work Proton! I am also considering moving to linux, what distro do you mostly use / would you recommend (for privacy and security). Thank you very much! It really depends on what do you want to achieve with a certain Linux distro so it really comes down to personal preference. Can you confirm if this includes a killswitch in the event of the VPN disconnecting? This doesn’t seem to have been mentioned anywhere that I can see. Killswitch is currently not available with the tool so it has to be set up separately. Please write us an e-mail via support@protonvpn.com to get instructions how to do that from our support team!